Hardy Pecan A Multipurpose Tree with a Bountiful Harvest The Hardy Pecan is a tree that has it all—aesthetic beauty, delicious nuts with health benefits, high quality wood, and interest for wildlife. One would look great as a central focus of your front yard, or plant several as a shady orchard in the back. Pecans can grow to 130 feet in height with a spread of 75 feet. The lovely medium green leaves and oval canopy will lend a lively symmetry to your landscape, providing countless hours of cool shade during those hot summer months. You’ll be fascinated by the unique 3 inch catkins that form in the spring to hang among the branches. From a distance it will appear as if someone decorated your tree with short braided tassels of green vegetation. Even more amazing is the fact that these uncommon-looking “flowers” will eventually turn into nuts for a fall harvest. As fall approaches your Pecan will adorn your yard with citrine hues. Soon after, an abundant harvest of rich, buttery Pecans are ready to be enjoyed. American Indians are known to have cultivated pecans as far back as the 1500’s. They are rich in antioxidants and are reported to have many possible health benefits. Pecans are a tasty snack and versatile for cooking in a variety of dishes. The Hardy Pecan is truly a multipurpose tree. It will be an attractive shade tree for your home, provide interesting spring flowers and fall color…with an added benefit of a delicious fall harvest. Even the wood of the tree is valued for making furniture or as fuel that adds flavor to smoked meats. The Hardy Pecan is a tree that never stops giving, and will certainly be a wonderful addition to your landscape for years to come. 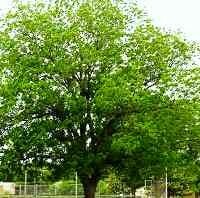 * Edible Nuts* Large Shade Tree* Attracts WildlifeCheck Prices at Nature Hills Nursery, Inc.